Though Beijing has promised to abide by the rule-based international order, the regime has been selective, agreeing to some rules while refusing to accept new rules that reflect the “responsibility and accountability” of a nation that plays a significant role globally, the report said. One of the norms Beijing has failed to embrace is the respect of human rights. “The human rights situation in China is deteriorating, notably in Xinjiang and regarding civil and political rights,” the report stated. Beijing has detained an estimated 1 million Uyghurs and other Muslim minorities in internment camps in northwestern China’s Xinjiang region, where they are subjected to political indoctrination. According to former detainees, some have been tortured and drugged. Beijing’s current business and investment practices in Europe and elsewhere were the subject of the report’s scrutiny. Contrary to the EU’s open procurement market, China is increasingly favoring domestic companies over EU firms in a “protectionist trend,” the report said. For example, European firms report encountering difficulties when applying for procurement opportunities in China. EU companies also must overcome “onerous requirements” as a prerequisite to access the Chinese market, including creating joint ventures or transferring key technologies to Chinese counterparts. Beijing has also set up market barriers in favor of its domestic champions. In one example provided in the report, European finance and online payment companies are denied access to the Chinese market, while Chinese counterparts dominate the domestic market. By contrast, those Chinese firms have been allowed to develop in the EU market. One example is Chinese payments provider UnionPay, which currently operates in the UK and Portugal. EU’s agricultural and food exports to China are also subject to “discriminatory, unpredictable and burdensome procedures, excessive delays, and decisions not based on science,” the report said. China has restricted food imports in its effort to achieve food self-sufficiency. In developing countries, European companies are also at a disadvantage, as Chinese companies have “access to state backed loans and export credits at preferential terms and applying different corporate and labor standards.” In some countries such as Ghana, Chinese companies contracted for development projects have been the subject of local criticism due to its disregard for environmental regulations. 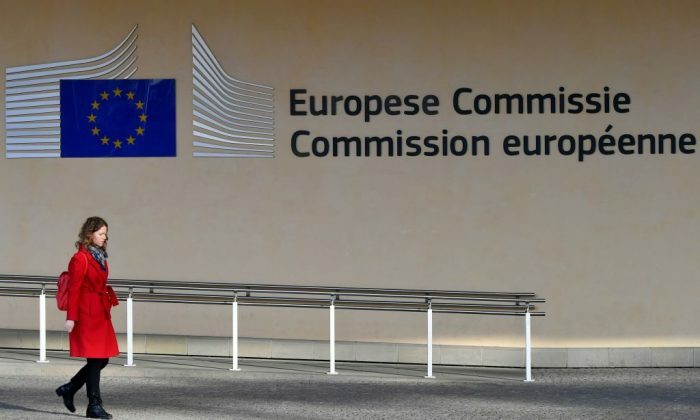 The report proposed 10 actions that could make the relationship between the EU and China more reciprocal, such as reforming World Trade Organization rules and proposing legislation to more carefully scrutinize foreign acquisitions of EU companies. This is an allusion to China’s “One Belt, One Road” initiative” (OBOR), a project launched in 2013 for Beijing to fund infrastructure projects around the world, with the objective of building up trade routes linking China, Southeast Asia, Africa, Europe, and Latin America. Since then, several countries have been in serious debt—and have surrendered control of their national assets after they were unable to pay off the loans. One example is Sri Lanka, which converted its Chinese loans into a 99-year-long lease agreement for Beijing to control its strategic port of Hambantota. Katainen, while speaking to journalists during a presentation of the report, warned EU member states to carefully assess whether to sign up for OBOR, saying that there are “no free lunches,” according to European online newspaper Euobserver. So far, 13 EU member states have signed a memorandum of understanding (MoU) with China to participate in OBOR, according to Euobserver. Italy has announced its intention to sign an MoU on OBOR with China, despite the fact that there seems to be division inside the Italian government over inking a deal. The report also warned EU member states that they must abide by EU laws, rules, and policies when working with China under different cooperation frameworks, such as the 16+1 format. Beijing introduced the 16+1 platform in 2012 to increase business deals with 11 EU member states and five Balkan countries in fields such as infrastructure, finance, and technology.